One of the great advantages of a commons analysis is its ability to deconstruct the prevailing myths of “intellectual property” as a wholly private “product” – and then to reconstruct it as knowledge and culture that lives and breathes only in a social context, among real people. This opens up a new conversation about if and how property rights in knowledge should be granted in the first place. It also renders any ownership claims about knowledge under copyrights and patents far more complicated -- and requires a fair consideration of how commons might actually be more productive substitutes or complements to traditional intellectual property rights. After all, it is taxpayers who subsidize much of the R&D that goes into most new drugs, which are then claimed as proprietary and sold at exorbitant prices. Musicians don’t create their songs out of thin air, but in a cultural context that first allows them to freely use inherited music and words from the public domain -- which future musicians must also have access to. Science can only advance by being able to build on the findings of earlier generations. And so on. 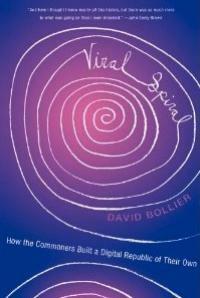 The great virtue of a new report recently released by the Berlin-based Commons Network is its application of a commons lens to a wide range of European policies dealing with health, the environment, science, culture, and the Internet. 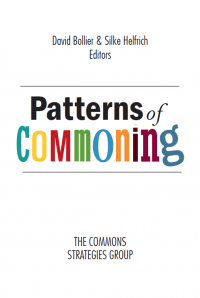 “The EU and the Commons: A Commons Approach to European Knowledge Policy,” by Sophie Bloemen and David Hammerstein, takes on the EU’s rigid and highly traditional policy defense of intellectual property rights. 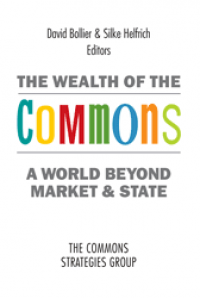 Bloemen and Hammerstein are Coordinators of the Berlin-based Commons Network, which published the report along with the Heinrich Böll Foundation. (I played a role in its editing.) The 39-page report can be downloaded here -- and an Executive Summary can be read here. 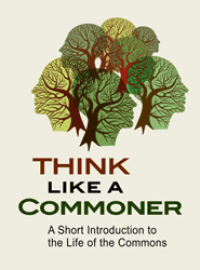 “The EU and the Commons” describes how treating many types of knowledge as commons could not only promote greater access to knowledge and social justice, it could help European economies become more competitive. 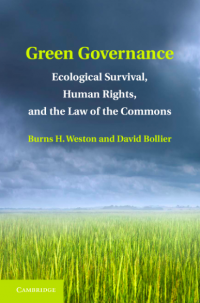 If EU policymakers could begin to recognize the generative capacities of knowledge commons, drug prices could be reduced and climate-friendly “green technologies” could be shared with other countries. “Net neutrality” could assure that startups with new ideas would not be stifled by giant companies, but could emerge. And scientific journals, instead of being locked behind paywalls and high subscription fees, could be made accessible to anyone. Not so long ago, the language of “intellectual property” (IP) was the only serious way of talking about creative works and inventions. Copyright and patents provided the default framework for explaining how someone’s bright idea grew into a marketable product, and how that in turn contributed to economic growth and human progress. It was a neat, tidy, reassuring story. It had an irresistible simplicity – and the endorsement of the ultimate authority, government. And then…. the pluriversal realities of life came storming the citadel gates! Over the past fifteen or twenty years, the monoculture narrative of IP has been attacked by indigenous cultures, seed activists, healthcare experts, advocates for the poor, the academy, and especially users of digital technologies. 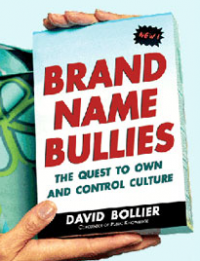 It has become increasingly clear that the standard IP story, whatever its merits on a smaller scale, in competitive industries, is mostly a self-serving, protectionist weapon in the hands of Hollywood, record labels, book publishers, Big Pharma and other multinational IP industries. We can thank the authors of a new anthology for helping to explain how the standard IP narrative is profoundly flawed, and how an array of challengers are showing how knowledge-creation so often emerges through social commons. Two cases involving the patenting of living organisms are now pending before the U.S. Supreme Court, and the outcomes do not look good. It appears that commoners who wish to use seeds, genes and other living things as a shared gift of nature will be cast out into the darkness once again. The Court seems poised to privilege the private control of lifeforms, providing yet another legal subsidy for the market order. The seed case was brought by a 75-year-old farmer from Indiana who had bought commodity soybeans from a grain elevator. As described by the New York Times, an estimated 90 percent of all U.S. soybean crops are now grown from genetically modified Monsanto seeds resistant to the Roundup herbicide. Not surprisingly, many of the seeds that farmer Vernon Hugh Bowman bought contained second-generation versions of Monsanto seeds. The problem is, Bowman inadvertently grew a new batch of GMO seeds without paying Monsanto or getting its authorization. Monsanto sued him, claiming that Bowman’s crops infringed Monsanto’s patent. Accepting the view that Monsanto’s patent let it control even second-generation seeds, a U.S. federal district court forced Bowman to pay an $84,000 fine. The brave new world of “owning life” began 32 years ago when the U.S. Supreme Court first approved the patenting of a genetically engineered bacteria that can help decompose oil. By a 5-4 decision, it was the first instance of U.S. law recognizing ownership in a "manufactured" lifeform. On Wednesday, I had the opportunity to participate on a panel with the microbiologist who brought that 1980 case, Ananda Chakrabarty, who was then an employee of General Electric. Anyone who noses around the legal literature soon realizes that the case of Diamond v. Chakrabarty is a real landmark case because it opened the door for the patenting of lifeforms. Over the past thirty years, more than 3,000 gene patents have been granted. Nearly 20 percent of the human genome is now privately owned. The U.S. Patent and Trademark Office has issued nearly 50,000 patents involving human genetic material. Patents have been granted for microorganisms, genetically modified plants and animals, stem cells, tissue and many other living things. Chakrabarty, now is a 74-year-old professor at the University of Illinois College of Medicine at Chicago, had few reflections to offer on the seismic impact of the case. He was proud of his role in legal and scientific history, but he focused mostly on the scientific aspect of his work and of patent law in general. Too bad, because I think the extra-legal, extra-scientific ramifications of the Chakrabarty case have been significant. US Supreme Court Sets New Limits on Owning the "Laws of Nature"
In patent law, they have a saying: the name of the game is the claim. And when it comes to patenting the naturally occurring elements of plants, the human body and other living things, patent lawyers have shown themselves to be highly ingenious in making their claims. Their goal, of course, is to own any knowledge about nature that is needed by lots of people and can be sold. Patent law lets companies establish artificial chokepoints over knowledge that should belong to all of us, giving the “owner” the right to charge a toll and stifle potential competition. This trend got its start in 1980 when the U.S. Supreme Court first allowed the patenting of lifeforms in the Chakrabarty case, which allowed the patenting of microorganisms. That in turn opened the floodgates to the patenting of genes, plants, bioengineered crops, and much else. Harvard University famously owns the patent of a specially bred mouse for cancer experiments, the “onco-mouse.” There is much to be said for the fruits of biotech research, but there is also much to be lamented and condemned as far as the needless privatization of knowledge and stifling of competition and innovation. Now it seems as if the tide could be turning against the patenting of nature The U.S. Supreme Court just ruled unanimously that a diagnostic medical test that determines levels of metabolites in a person’s blood (in order to administer the proper dosage of a class of drugs known as thiopurines) cannot be patented. The case, Mayo Collaborative Services v. Prometheus Laboratories, arose when the Mayo Clinic in Minnesota decided to develop its own metabolite diagnostic test and stop buying the Prometheus product. Prometheus sued, saying that the Mayo Clinic’s self-devised diagnostic test violated its patent. The Mayo Clinic responded that no one can own basic knowledge about human physiology and nature. Read more about US Supreme Court Sets New Limits on Owning the "Laws of Nature"
In the 1990s, a variety of industries dependent on copyright, trademark and patent law decided that the Internet and new digital technologies were getting way too dangerous. Upstart competitors with innovative business models were starting to invade well-established markets. Worse, ordinary people were starting to bypass the market system and challenge the supremacy of copyright and patent law (and to a lesser extent, trademark law). People began to create their own freely shareable alternatives using free software, co-production of content and virtually free distribution. And so it was that the corporate giants of information and culture staked out the high ground of “property rights.” It would be t he citadel from which they would defend their entrenched business models and fight the “dangers” of digital networks. The result has been the IP Wars, a sprawling set of political, economic and cultural conflicts that continue to rage today. It is a far-ranging conflagration that affects dozens of creative and cultural enterprises -- film production and distribution, musical performance and recording, book publishing, photography and video production, pharmaceutical development, scientific research, scholarly publishing and databases, among many other arenas. There has also been a strenuous backlash to IP industries. People with HIV/AIDS have risen up to fight the broad patent claims of the pharmaceutical industry, which has made life-saving drugs unaffordable to millions of people in need. Hackers have organized to resist the proprietary lock-down of software code, and insisted upon basic human freedom to copy and share their code. Subsistence farmers have resisted patent laws that promote genetically modified crops and threaten their seed-sharing practices. It is a sign of the predatory nature of markets today that a tradition that goes back 4,500 years now needs to affirmatively defend itself as a common legacy of humankind. Yes, the latest endangered resource is -- yoga. Yoga was developed in India as a physical and spiritual practice for everyone. The breathing known as pranayama is perhaps the most elemental aspect of human existence. But wouldn't you know it -- all sorts of scheming entrepreneurs now want to convert yoga into "intellectual property." Can abstract ideas be patented? Sometime soon, the U.S. Supreme Court is expected to make a major decision regarding the constitutional scope of patents. The decision could have major implications for the legality of free software. As the world attention converges on Copenhagen climate summit, a little-mentioned issue is the proper role of patents in encouraging the development of emissions-free energy technologies. Large tech companies like to claim that they need broad patents to encourage their investment in innovative new technologies. And they are poised to make a fortune off of selling patent licenses for new "green technologies" designed to abate carbon emissions.